For a team desperate to get beyond the Eastern Conference semifinals for the first time in over 40 years, the Washington Wizards needed a makeover. With new players that should give them depth and a new practice facility, the franchise has gotten a facelift and is hoping the new look brings a different conclusion to the season. 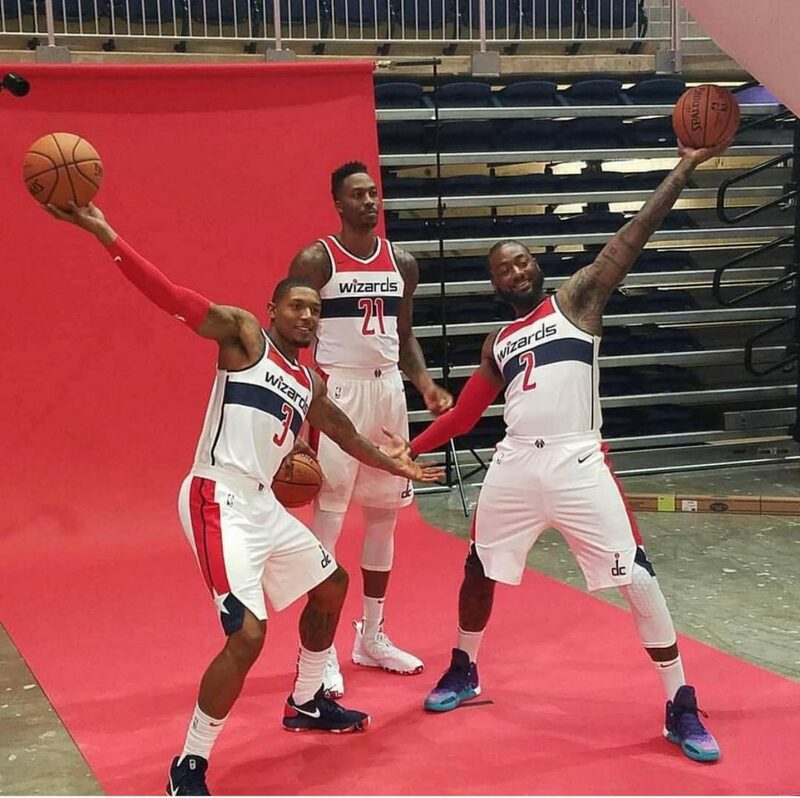 This season’s edition of the Wizards’ media day took place at the new $65 million DC Sports and Entertainment Arena in Southeast D.C. The multi-purpose arena, that will be home of the Mystics and the D.C. Go-Go of the NBA G- League, sits on the campus of the old St. Elizabeth’s Hospital campus in Congress Heights and will be used by Wizards as their practice facility. The energy and anticipation from the team’s new players and amenities bring more than just cautious optimism as camp training camp opens. The Capitals Stanley Cup title and the Mystics run to the WNBA Finals has put the Wizards under a different microscope to open the season. It’s not realistic to put them in the class of teams who could win the NBA championship this year. However, with long time nemesis LeBron James now playing for the Los Angeles Lakers out West, the Eastern Conference has opened, which gives them a realistic chance to play for a world championship this season if chemistry and egos don’t get in the way. During the offseason the Wizards were as aggressive as any team in the NBA despite not having the luxury of big money to spend on free agents. On paper, they appear to have bolstered their roster by acquiring center Dwight Howard and guard Austin Rivers. Howard is no longer Superman who can dunk and leave a sticker at the top of the glass. He’s not a pick and pop big man either. Nonetheless, he still averaged just over 16 points and 12 rebounds. If he and John Wall mesh in the Wizards half-court offense their pick and roll game could be more dynamic than the hall of fame tandem of Karl Malone and John Stockton with the Utah Jazz during the 1990s. If Howard is willing to submerge his ego and create scoring chances by controlling the paint and scoring off rebounds the Wizards become a legitimate threat in the East. They also went back to the future and brought former Georgetown forward Jeff Green back home. Green, who was with James as part of the Cleveland Cavaliers last run to the NBA Finals, joins Howard as the only players who have participated on that stage. He would appear to be their leader by default, but will John Wall buy in? Rivers may prove to be the key acquisition of the offseason. Their glaring weakness at shooting guard off the bench couldn’t be masked thanks to injuries that created a revolving door in the backcourt last year. The former L.A. Clippers’ ability to play both positions give coach Scott Brooks more strategic flexibility with their second unit guard combinations. If Tomas Satoransky and Rivers gel as he and Bradley Beal did when John Wall was injured this becomes a dynamic team. Brooks faces his greatest challenge since he’s been in Washington this year. He must manage the bench, the locker room, expectations and massage egos. The team is playing with a collective chip on their shoulder with all the major players having something to prove. Wall and Beal are clamoring to be regarded among the elite guards in the league. Howard needs a reputation makeover while Rivers wants to prove that his game is ready to make a giant leap.